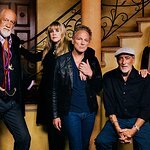 On January 26, Fleetwood Mac will be honored with the MusiCares Person Of The Year award, and more artists have been announced to perform. 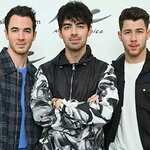 Miley Cyrus will join Imagine Dragons, Juanes, Alison Krauss and Jerry Douglas, Little Big Town, Zac Brown Band, and GRAMMY nominee Brandi Carlile at the event. Previously announced performers include Haim, Lorde, OneRepublic, Harry Styles, and Keith Urban. Fleetwood Mac — Lindsey Buckingham, Mick Fleetwood, Christine McVie, John McVie, and Stevie Nicks — will close the show with a special performance.